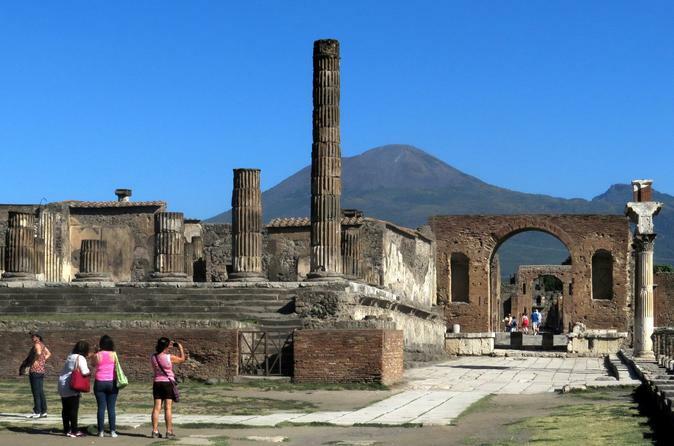 If you’re a history or archaeology buff who wants to step off the beaten path around Pompeii and learn the full geological story of one of the most famous natural catastrophes in history, this Vesuvius Tour is the perfect experience for you. 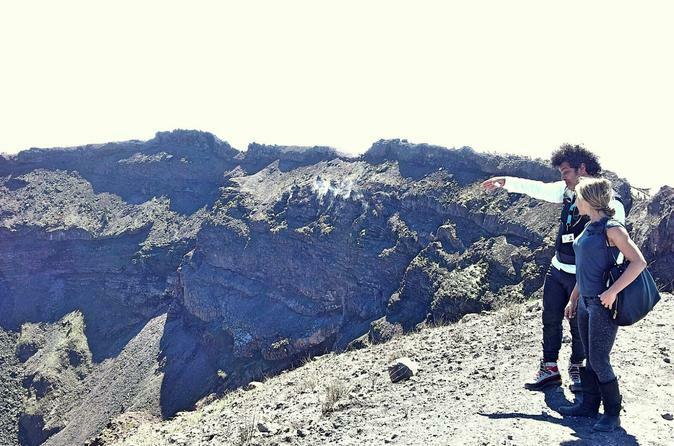 Led by local geologist, you ascend the long-dormant volcano to learn the history and geology of the sleeping giant, as well as the full story of how its 79 AD eruption decimated the bustling port city below. The more adventurous will have the option to hike around the crater with the guide, while those who place more value in 'la dolce vita' can admire stunning views of the Bay of Naples. Experience a guided immersive time-travel experience with special 3D virtual reality headsets. On this tour you will be led by a licensed local guide (speaking only in English/Italian) and will witness the glory of Pompeii as it once was. You will be surrounded in 360 degrees as you watch historical re-creations in your headset at the main points of interest (each lasting between 2- to 6-minutes). This 2-hour tour has audio commentary in the headset, available in 6 languages, enhancing the experience. 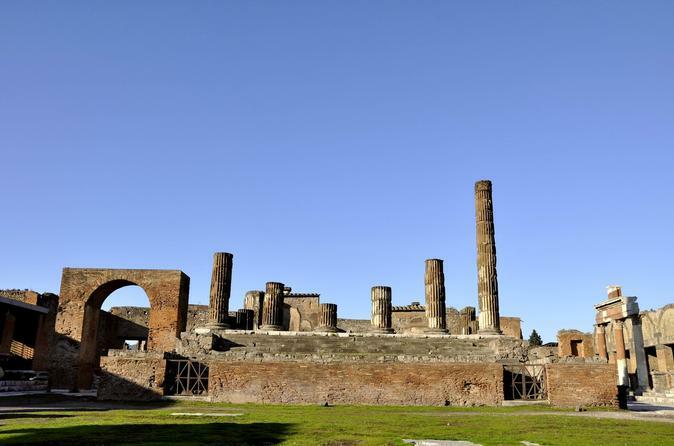 A new adventure in sightseeing awaits you in Pompeii! Languages available in the headsets: English, Italian, Spanish, French, German and Russian. 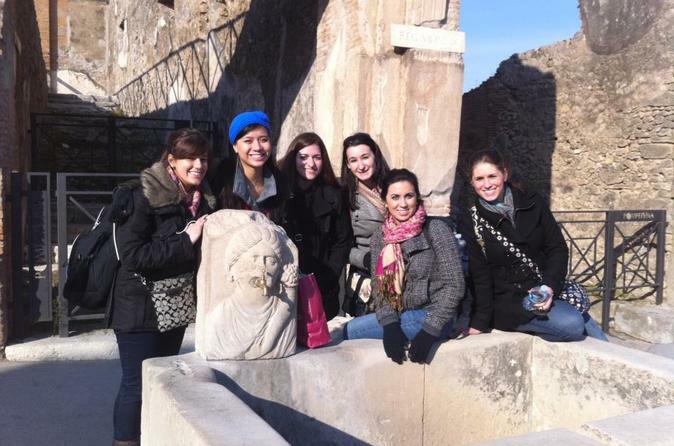 Enjoy a unique tour of Pompeii offered in a small group of maximum six people. On this 2.5 hrs journey, you will be able to visit one of the most distinctive historical sites in history with a small group and an actual archeologist as your guide. 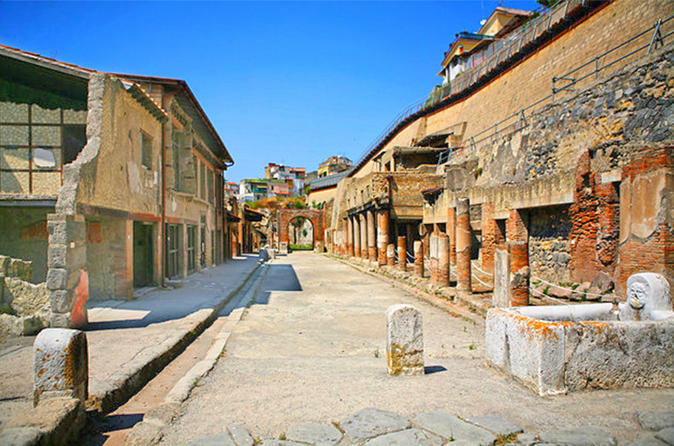 Pompeii is a city condensed with information of the ancient everyday life and to visit Pompeii with a knowledgeable guide is essential to understand what the city has to offer. The tour walks you through a selection of the main villas and suburban baths. There is nothing like this ancient city frozen in time by the eruption of Mount Vesuvius to demonstrate how people lived 2000 years ago, during the Roman age. 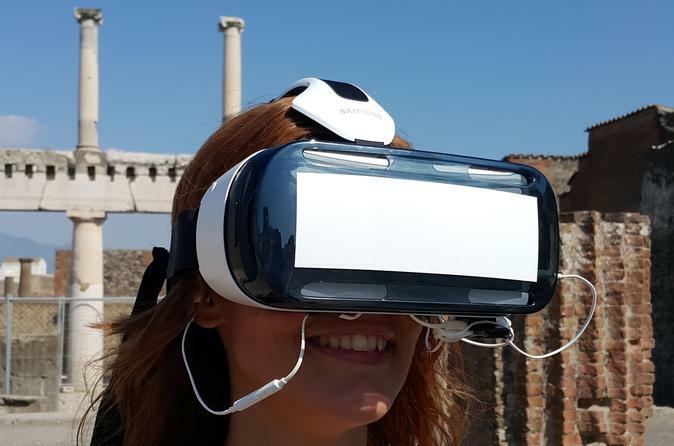 Travel back in time to see ancient Pompeii with a 3D virtual reality headset. During this tour with a private guide, you’ll explore the archaeological digs and watch short virtual reality clips of the city as it once was. Listen to commentary as you stroll between former temples and Roman baths, and then see the ruins come back to life — just as they were before Mt. Vesuvius erupted. Entrance fees are at your own expense, and the tour is not recommended for children under the age of 13. Take an immersive time-travel tour experience through the ruins of Pompeii with this 2.5-hour 3D Virtual Reality headset. Walk through the excavation with a tour assistant while using special headsets that allow you to see Pompeii as it once was. You will be surrounded in 360-degrees as you watch 2- to 6-minute historical re-creations in your headset of the main points of interest. Audio commentary in the headset enhances the experience, and is available in 6 languages. A new adventure in sightseeing awaits you. 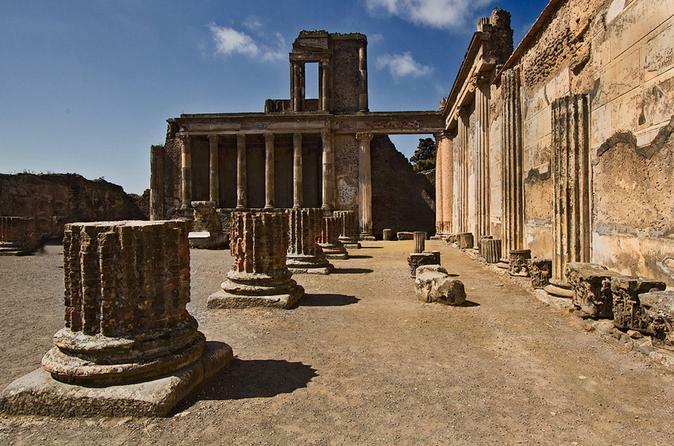 Explore the amazing ruins of Pompeii on this private guided tour that reveals the remnants of an ancient Roman city that was destroyed by the eruption of Mount Vesuvius in AD 79. This enormous archaeological site is a treasure trove that boasts impressive artifacts, architecture, and sculptures. 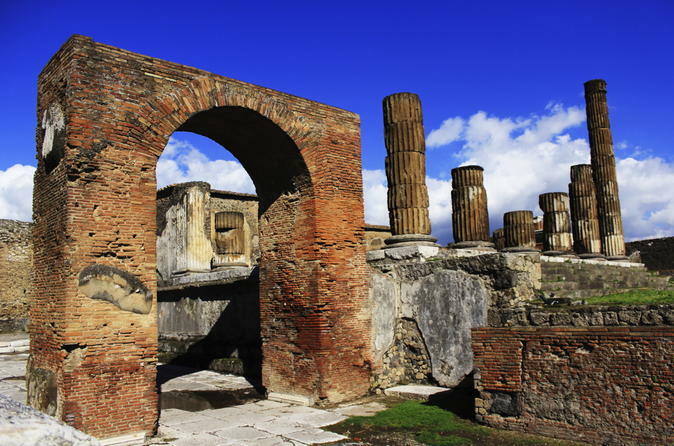 After meeting your guide, head into the ruins of Pompeii and listen to the fascinating story of how this once thriving city was destroyed almost in an instant by the massive amounts of volcanic ash and pumice that erupted from the nearby volcano. As you walk through the Porta Marina, one of the city's original entrances, learn how this place was rediscovered in 1748 and has been in a continual state of restoration ever since. 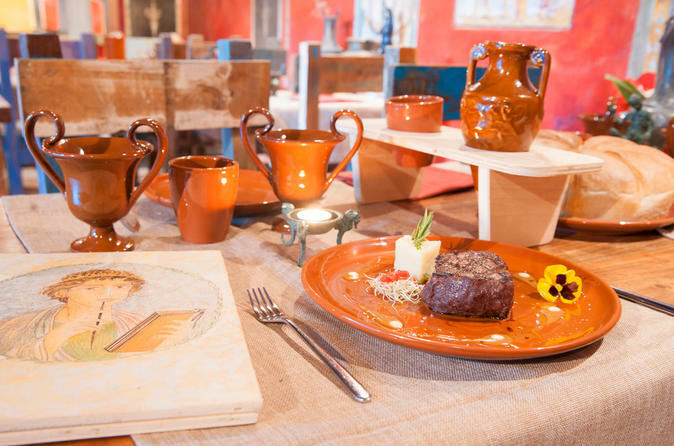 Take a culinary journey back to the days of Ancient Rome with this Pompeii banquet experience that includes wine and food based on historical recipes. While you enjoy the food and drinks, listen to information from a local host about the traditions and history of the dishes. Select your lunch or dinner time preference when booking. Skip-the-line private guided walking tour of Pompeii led by a top-rated local guide. 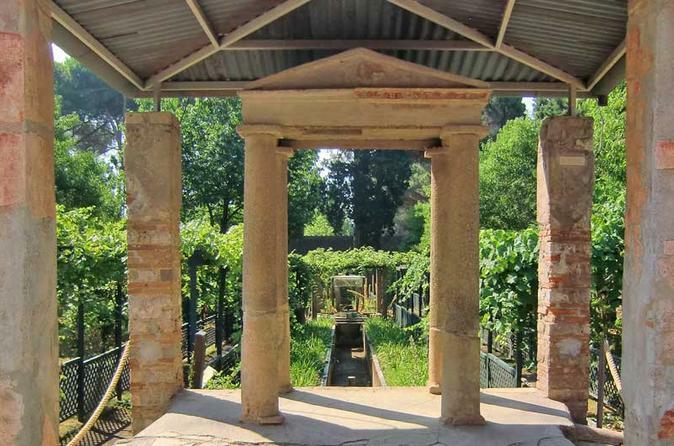 Experience one of the finest examples of early Roman life in its excavated ruins. In 79 AD nearby Mt. Vesuvius erupted with such force, it buried the city beneath ash and rubble. It wasn’t until the 18th Century that this 1st Century city was again revealed. 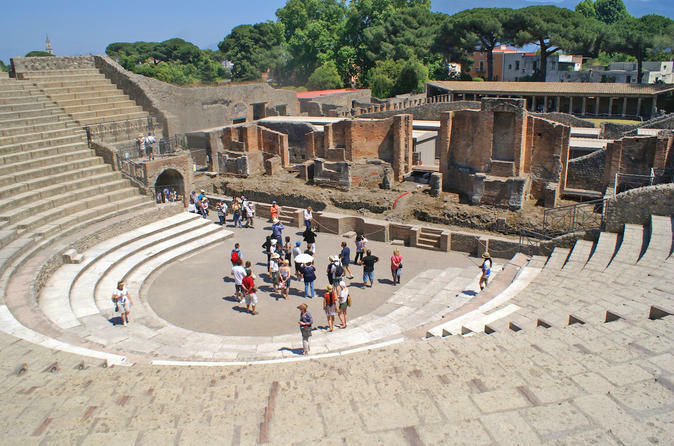 You will feel like going back to the Roman Empire by visiting the Theatre, the Thermal Baths, the Pleasure Houses, the Forum and all the major highlights of Pompeii. 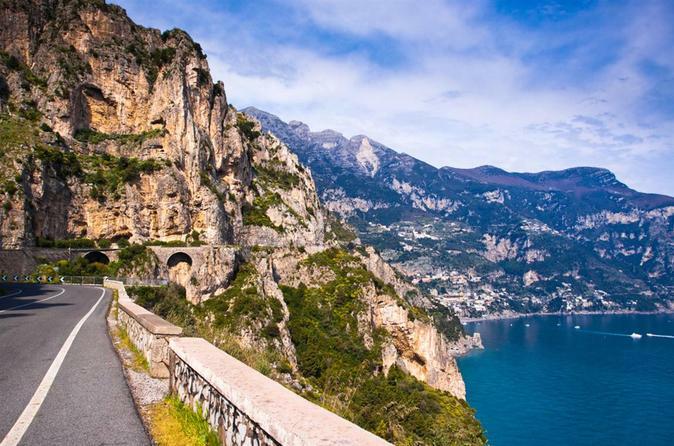 The only excursion which takes you down to Positano Beach, and the most suggestive places from Amalfi and Ravello. Round trip on the Amalfi Coast. Visit one of the best vineyards and wineries in the Neapolitan countryside. Learn about the grapes as you stroll amongst the vines, and admire beautiful views of the gulf before digging into a 4-course lunch paired with matching wines. 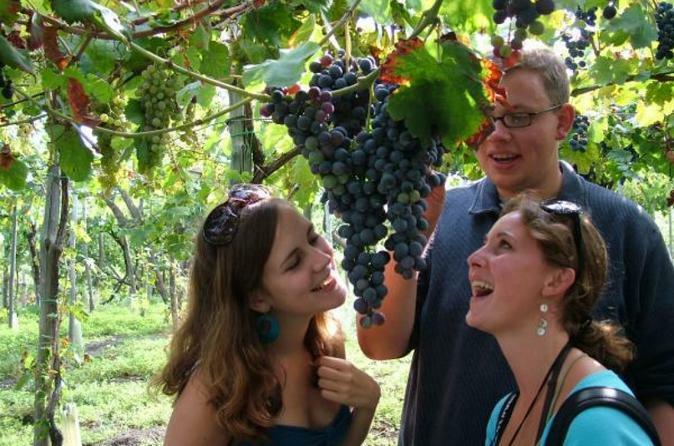 Meet your guide at the Pompeii Ruins Circumvesuviana station and travel to a local winery, located on the gorgeous slopes of Mount Vesuvius. Meet the family that owns the winery, enjoy a welcome drink, and take a tour of the winery, walking along hundred year-old vines within view of the beautiful gulf. Afterwards, sit down to a 4-course lunch made from homegrown produce, each dish paired with a glass of wine. At the end of lunch, return to Pompeii. 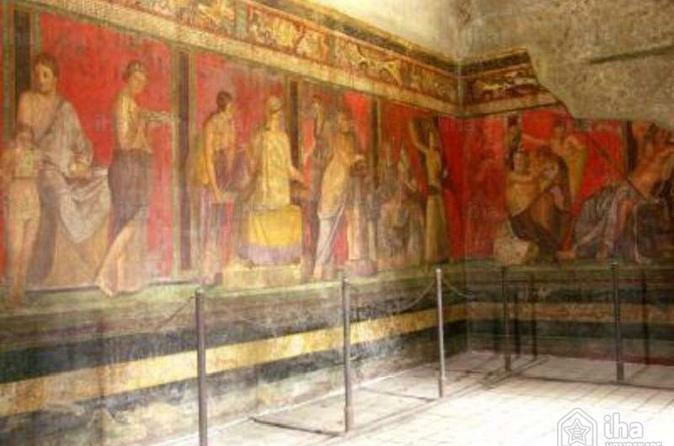 This 2 or 3 hour tour will let you travel back to Roman times on an exclusive journey into the fascinating world of the Romans in Pompeii. 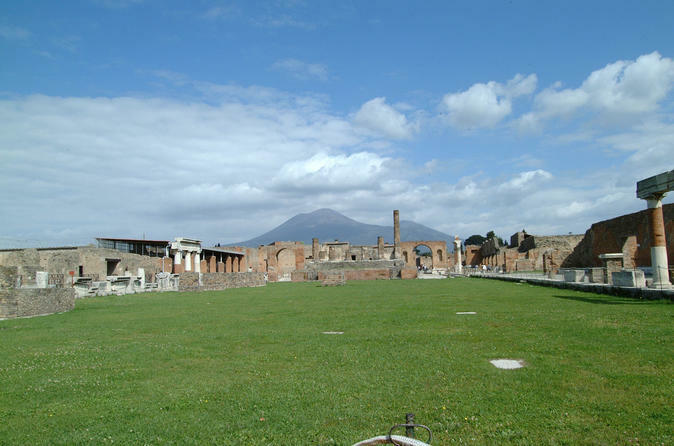 During this walking tour you will discover the Roman world, frozen by the eruption of the Vesuvius in 79 AD. Your guide will provide details of what the daily lives of gladiators, slaves, citizens and senators in the Roman world were like. Visit all of the major highlights of Pompeii and see how they lived, worked and entertained. 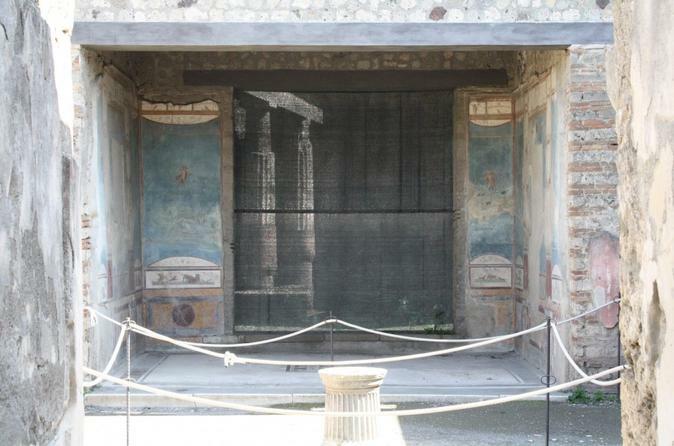 Book a private tour of Herculaneum and discover the life at Roman Time. Explore Herculaneum, one of the lesser-known cities buried by Mount Vesuvius in the same eruption that ruined Pompeii. 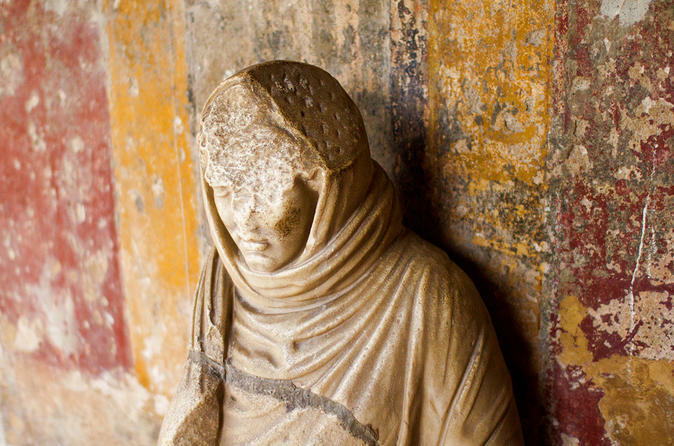 Enlist the expert knowledge of a private guide to explore the incredible ruins - including wooden structures and skeletons - and learn about ancient Roman culture. Arrive at Herculaneum, a richly preserved city from Roman antiquity, and meet your private guide to begin exploring the city. The flexible structure of this tour makes it a great fit for families with children. 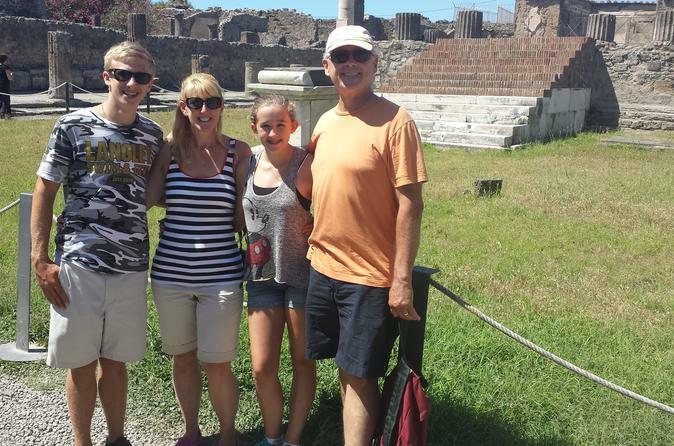 See the enchanting sights of Pompeii while on this 4-hour tour with a professional guide. Walk through the ruins and the crowds with your small-group of 10, as you are told tales of this once-thriving town. Tour the imposing Mount Vesuvius and attain panoramic views from the bell tower of the Sanctuary of the Madonna of the Rosary. 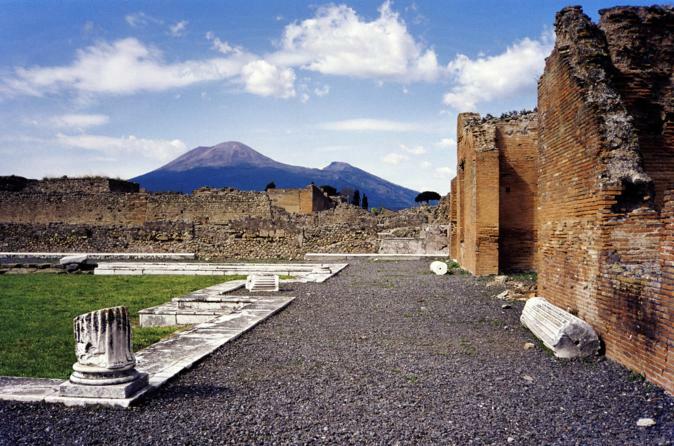 Enjoy a fun and fascinating visit to ancient Pompeii with this 3-hour treasure hunt tour. Learn about the many pagan and mythological symbols in the excavated city from your guide, and compete with other people on the tour on a fun treasure hunt while you tour the archaeological site. 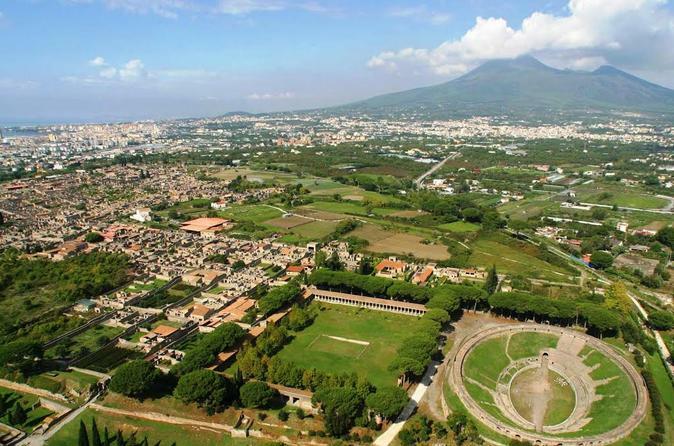 Visit the top of the volcano that destroyed Pompeii nearly 2000 years ago. 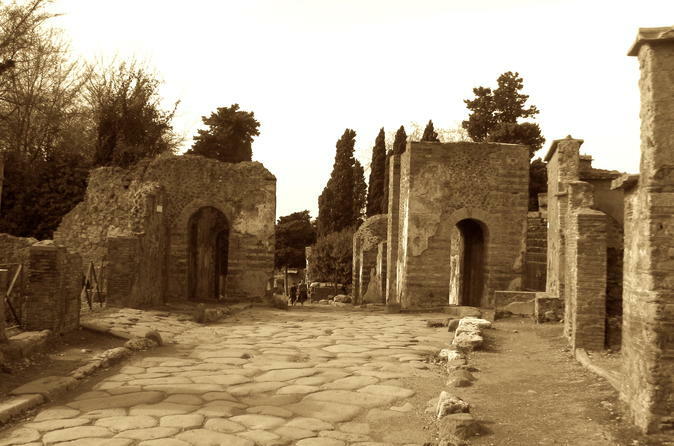 With a 7-hour guided tour, stroll through the streets of Pompeii alongside an archaeological guide (or with the accompaniment of an audio guide)*. 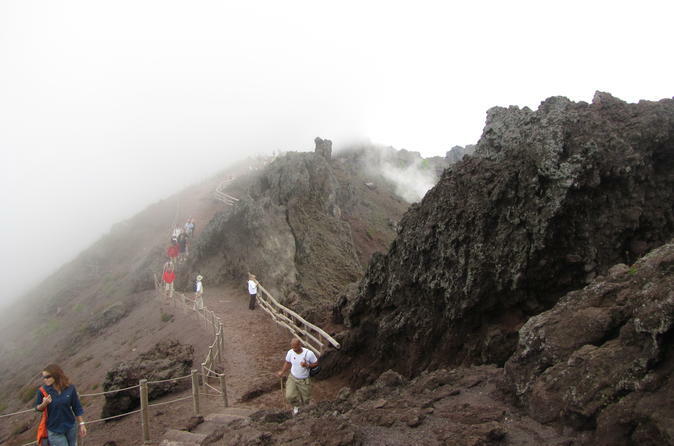 Drive 3280ft (1000 mt) up Mt.Vesuvius and walk the path to the crater's edge. Enjoy the view of the Bay of Naples and learn the geology of the volcano from an expert volcanologist guide. Maximum group size is 25 passengers. 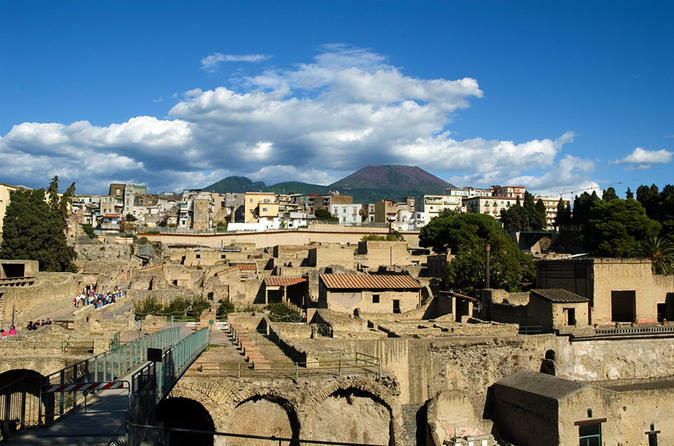 With an 8-hour private guided tour limited to three people, fully explore the two ancient Roman cities, Pompeii and Herculaneum in their excellent state of preservation. 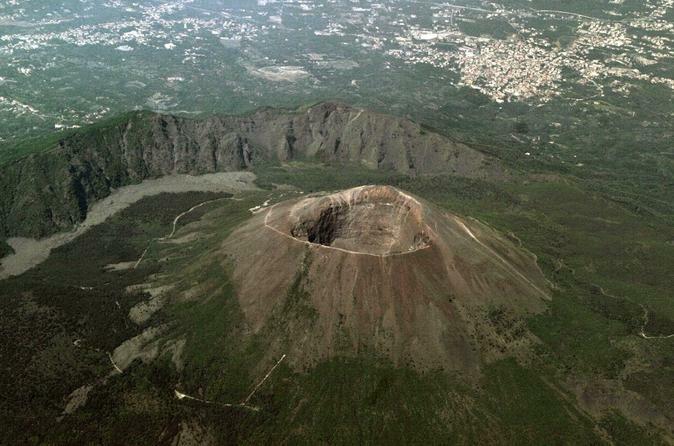 Then visit the volcano Mt Vesuvius, which led to their tragic end nearly two thousand years ago. Peer into to the crater of this giant and learn the geology of the volcano from a professional volcanologist guide. 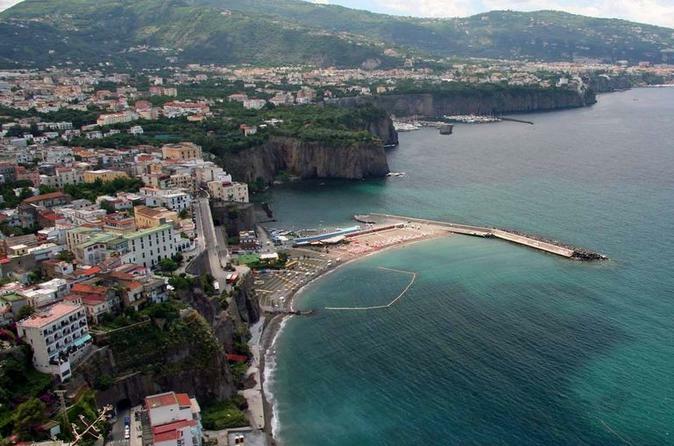 See the Bay of Naples spread beneath you and take some remarkable photos. Choose from a self-guided tour of Pompeii and Herculaneum, or upgrade to include an archeologist guide inside the two ruined cities. All tours include round-trip transportation. Explore the ruins of Pompeii on this small-group tour that ends with a Roman banquet in the setting of a reconstructed restaurant. At Pompeii, a UNESCO World Heritage site, see ancient archaeological sights such as the baths, theater, brothel, temples, fountains, bar, mill, and warehouses as you walk along the paved pathways, just as the people of Pompeii did before the city was destroyed by the eruption of Mt. Vesuvius in 79 AD. 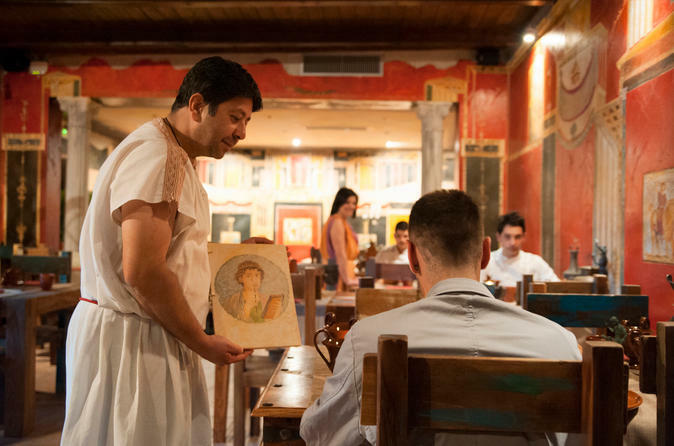 Afterward, you have the chance to dine like Caesar during a tasting banquet with local wines and food made from ancient Roman recipes. When booking, you have the option to upgrade to a private tour with just your party. 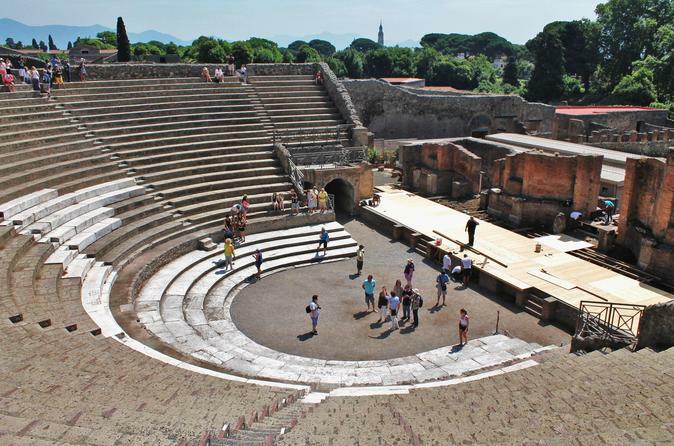 Enjoy this full-day, private tour to the ruins of the ancient cities of Pompeii, Herculaneum, and Oplonti. Take in the sights with a private guide who will share stories and history of each place.